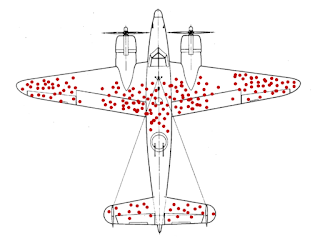 In WW II, they looked at planes returning from bombing missions that were shot full of holes. Their natural conclusion was to add more armor to the sections that were damaged, to protect them in the future. But wait, said the statisticians. The original damage is likely spread evenly across the plane. Damage on returning planes indicates where they could damage and still return. The undamaged areas are where they were hit and couldn't return. Thus, it's the undamaged areas you need to protect. 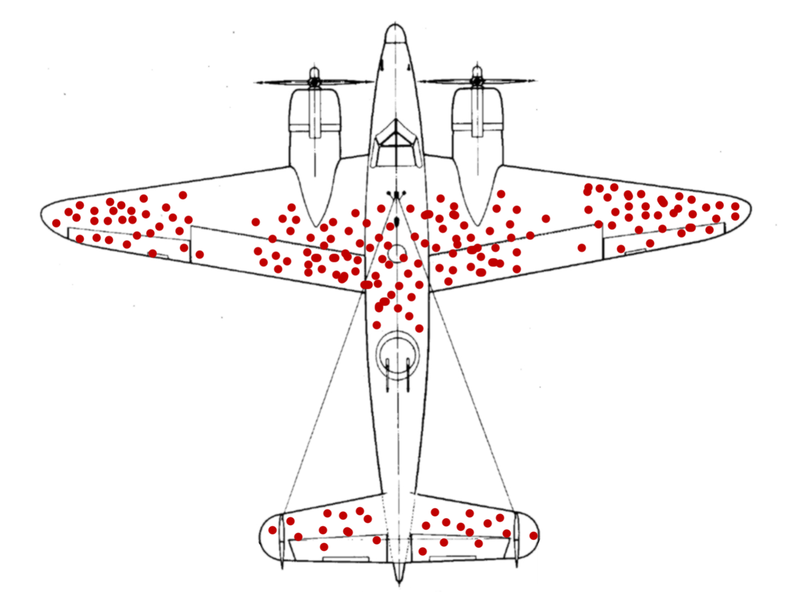 This is called survivorship bias. Many experts are making the same mistake with regards to the nPetya ransomware. Errors happen. But look at the discipline put into the spreading code. That worked as intended. Only the ransomware components have bugs? The context of this tweet is the discussion of why nPetya was well written with regards to spreading, but full of bugs with regards to collecting on the ransom. The conclusion therefore that it wasn't intended to be ransomware, but was intended to simply be a "wiper", to cause destruction. But this is just survivorship bias. If nPetya had been written the other way, with excellent ransomware features and poor spreading, we would not now be talking about it. Even that initial seeding with the trojaned MeDoc update wouldn't have spread it far enough. In other words, all malware samples we get are good at spreading, either on their own, or because the creator did a good job seeding them. It's because we never see the ones that didn't spread. With regards to nPetya, a lot of experts are making this claim. Since it spread so well, but had hopelessly crippled ransomware features, that must have been the intent all along. Yet, as we see from survivorship bias, none of us would've seen nPetya had it not been for the spreading feature.